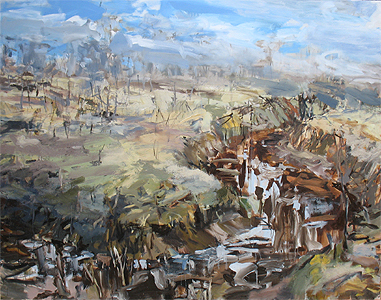 Painting and drawing teacher Tim Allen is currently undertaking an artist residency at Presbyterian Ladies College. In between his busy teaching commitments at NADC, Tim is fitting in the practice-based residency at PLC. As well as working several days a week over 4 weeks in the studio at PLC, Tim has undertaken a 3 day artist camp with Year 11 students and staff, at Arthur Boyd's former property, Bundanon. Tim's residency will culminate in an exhibition at the Adelaide Perry Gallery, featuring work he has produced during his time at PLC. Year 11 students will exhibit in the gallery alongside Tim, giving valuable industry experience and inspiration to the aspiring young artists.